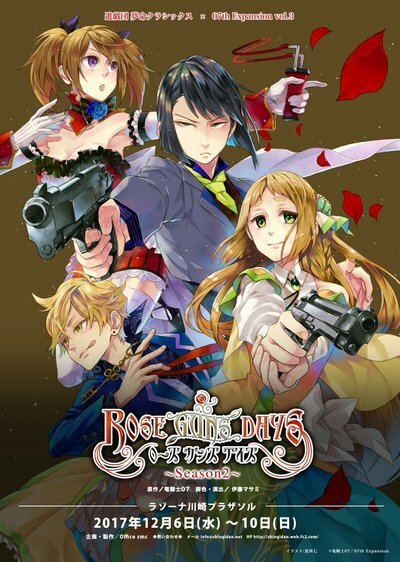 For those keeping up with our stage play news, Shingidan released details on the next Rose Guns Days stage play! The second season stage play will be held from December 6th to the 10th! As a refresher, this will be the third collaboration between 07th Expansion and Shingidan - their other stage plays consist of Hinamizawa Bus Stop and the first season of Rose Guns Days. It’s really amazing to see that they are continuing the Rose Guns Days series. (S) Tickets - the ones that guarantee front row seats - will be sold for 7,500 yen with 8,000 yen being the price the day of the play. (A) Tickets will be sold for 5,500 yen with 6,000 yen being the price the day of the play. If you happen to live in Japan and are interested in attending this event, be sure to let us know below! Just a Pikachu wandering through many fragments.